ReThink Advisors assisted in the creation of a long-range development plan—involving University Circle anchor institutions, private developers, The Cleveland Foundation, and local neighborhood input—to turn a 21-acre site of a former hospital into an urban mixed-use campus district. ReThink guided the university owned 21-acre site planning and collaborated with the City of Cleveland to integrate the new campus with the Upper Chester development district. The mission to integrate a mixed-use campus into the urban fabric required a significant facilitation effort, spearheaded by ReThink, particularly with regard to connectivity with a disadvantaged African American community that sits adjacent to this new West Campus. Revitalization initiatives already underway for this neighborhood were primarily focused on workforce development and job growth. 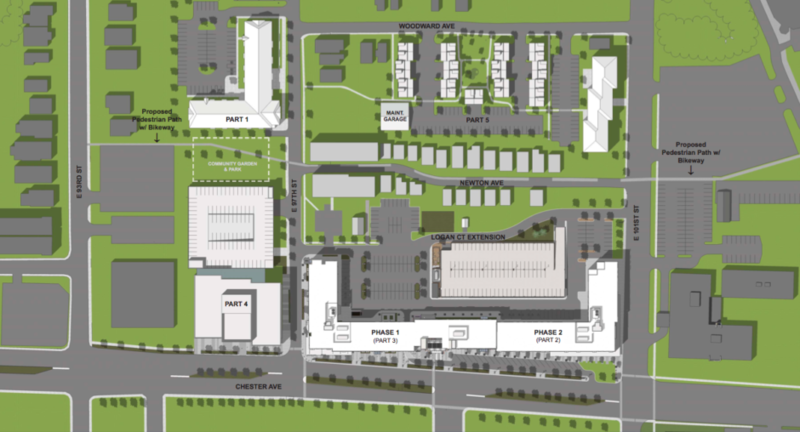 Infusing these priorities into the West Campus plan required a coherent physical planning and urban design approach to complement the economic development efforts.